Suomi-100 is a 1U-CubeSat mission built by the Aalto University of Aalto, Finland and GOMSpace to commemorate the 100th anniversary of Finland in 2017 by inspiring general public and testing new technologies. The satellite’s payload is a wide-view high detail camera built by GOMSpace and a low frequency receiver developed by students of Aalto University, many of which have radio amateur background. 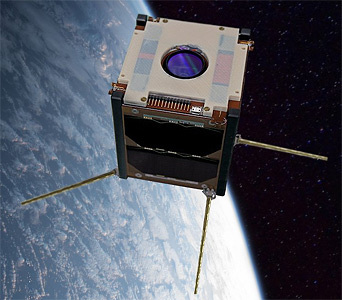 The payload, especially the radio instrument, will test new CubeSat instrument technology. The instrument is expected to detect dynamical features e.g. aurorae in the Earth’s ionosphere. The satellite makes also technological tests of how to optimize the usage of multi-instrument observations in a single CubeSat and how to downlink initially large data set by using relatively low data rate UHF and S-band links.